This weeks question comes from Yoann. 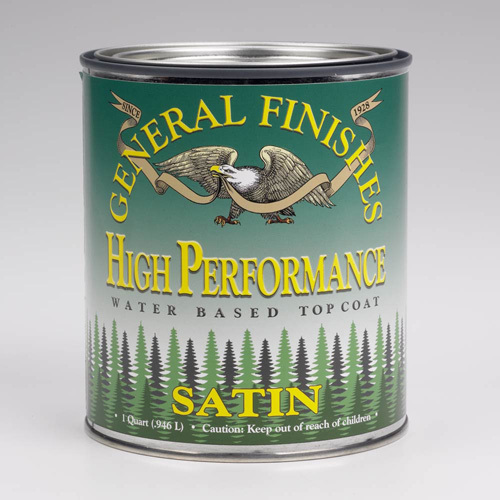 What is the difference between “water-based” and “waterborne” finishes, is it the same? If not, can any finish be either water-based or waterborne? Thanks for the clarification !! Hey Yoann. Great question! This is just another example of labels not doing us any favors! As most people use it, the term “water-based” is pretty much a misnomer. To call something water-based suggests that you can redissolve it in water, which is not the case with these finishes. These water-containing finishes are actually still solvent based. And if memory serves me, I believe the reason folks started calling them “water-based” was to distinguish them from traditional solvent-based finishes. So how do these finishes work? The most common mixtures generally contain three main components: the polyurethane or acrylic, a solvent (usually glycol ether), and water. After the finish is applied to a surface, the water begins to evaporate. Soon after, the solvent evaporates and the finish particles fuse together to become a single layer. So even though these finishes are solvent-based, water is the carrier, hence the term, “water-borne”. O.K. Marc, So, if I followed you correctly water based is just the incorrect term for waterborne. Is that correct? That’s exactly right Vic. But water-based is a valid term for anything that dissolves in water, like certain paints or dyes. Thanks for the explanation of water-based (or water-borne) materials. Does that mean that a spray gun used for these materials needs to be cleaned with solvents, rather than water? Sounds like it…. Please don’t ask me what I have been cleaning my HVLP gun with. The answer is probably going to be embarrassing. Sorry I missed your question Warren. If you use a spray gun with water-borne, its a good idea to clean it with a solvent. You’ll notice that the acrylic or poly likes to stick to the interior parts of the gun and even the inside of the can. Now there are times when I’ve done a quick spray, then cleaned the gun with the little brushes and some water, and called it a day. But if you do a decent amount of spraying, you are going to want to use a solvent to clean the gun thoroughly. Better safe then sorry. For whatever reason I can never keep this straight. ” water borne Printing Inks”vs “Water based Printing Inks”.